October 9th 2018 will go down in history as the day Australian Banking stepped into the future, with the official launch of Australia’s first Next Gen banking app. 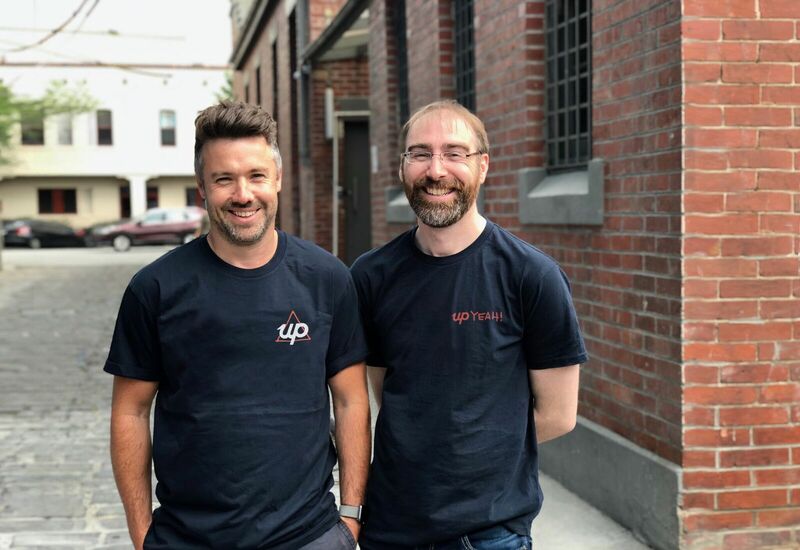 Up is a partnership between Australia’s 5th largest bank, Bendigo and Adelaide Bank, and Ferocia, the software team behind Bendigo’s award winning banking platform. Tier One People Founder, Dexter Cousins was one of a lucky few guests at the launch event in Sydney. The launch itself was more akin to an iPhone launch than the launch of a bank. Founder Dom Pym (the dude in the beard) wowed the crowd with an amazing product demo. Guests watched on as Dom transfered money from his UP account into the account of Head of Product, Anson Parker (pictured next to Dom,) using a voice command, in seconds. Users can sign ‘UP’ for an account in two minutes (the average sign up time is 2 minutes 5 seconds to be exact!) and use the account immediately through Apple Pay while your card is issued. UP is the first cloud-hosted bank platform using Google Cloud Services, testing results on the platform are incredible. During 11 months of testing, the platform has spent a total of just over two hours in down time! The technology is super powerful with features like spend tracking, spend analysis, automatic transaction recognition, instant payments using Osko and Siri integration. And they have been super smart to preempt open data reforms by giving users total access to their data. The tech is backed up by seriously slick UX and design. Is UP any different to any other banking app? I have been using UP for the past six weeks. What I find so refreshing and unique about UP is the limited involvement of bankers in the build and design of products. UP has been built by Tech people (super talented Tech people!) and the end product is highly impressive. The bar has been set high for challenger banks entering the market. What is so ground breaking about UP? They have taken the best of the best FinTech innovation and applied design thinking to create a banking app for a world where customers own their data. Australian consumers are long overdue an enjoyable and convenient banking experience. UP delivers and then some.